We haven’t even wrapped up 2015 yet and tours for this following Spring are being announced. Who’s excited because we are! 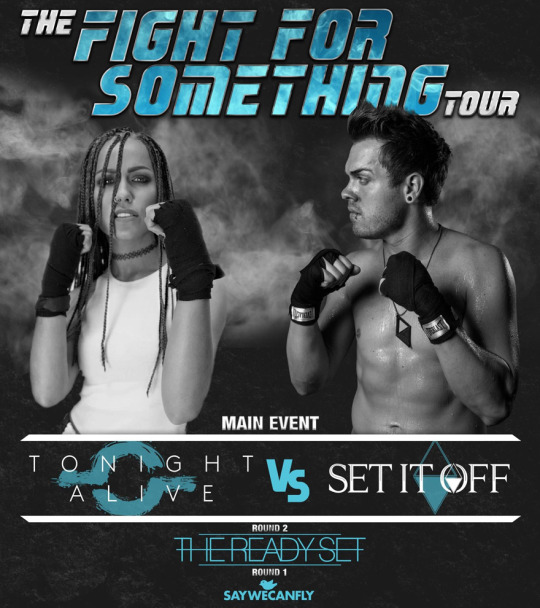 To kick off the announcements is Tonight Alive and Set It Off’s co-headliner titled The Fight For Something Tour. Featuring supporting acts The Ready Set and SayWeCanFly, the tour will kick off on March 1st in Chicago and will wrap on March 27th in Denver. The full list of tour dates can be found below!